Reclaim Idaho co-founder Luke Mayville announced in an email Sunday that his grassroots political group has collected 29,000 signatures for their Medicaid for Idaho campaign — more than half of what they need to get Medicaid expansion on the 2018 ballot. 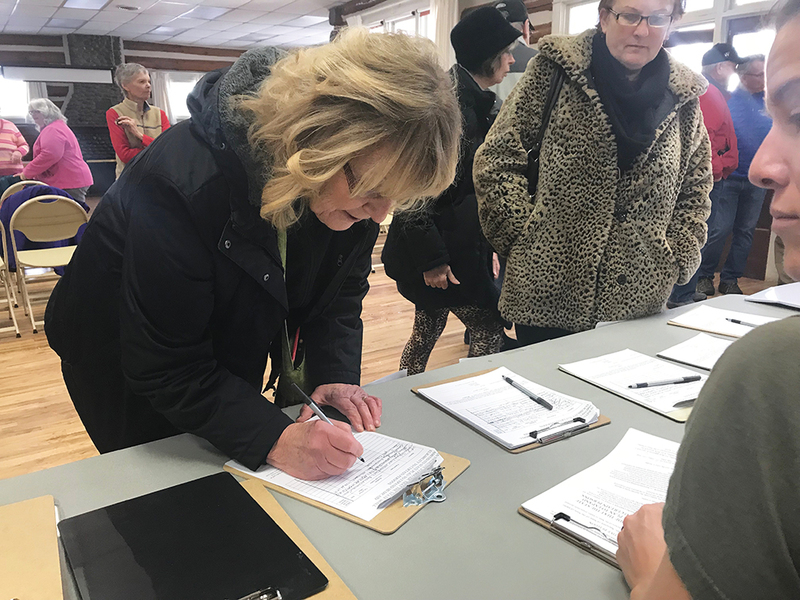 Hope resident Ellie Lizotte pens her name on the Medicaid for Idaho petition during the Dec. 16 signature collecting event. Photo by Lyndsie Kiebert. Those signatures were collected exclusively through a volunteer effort, he said. “The volunteer-led, volunteer-supported nature of our effort makes Medicaid for Idaho an extraordinary campaign, and all of us should be proud of that,” he wrote. To collect the remainder of the needed signatures — about 27,000 — Mayville said Reclaim Idaho will use paid signature gatherers through the Fairness Project, a non-profit that helped Maine get Medicaid expansion on the ballot, to collect signatures in a few “key locations” around Idaho. To learn more about Reclaim Idaho and their Medicaid for Idaho campaign, visit reclaimidaho.org.